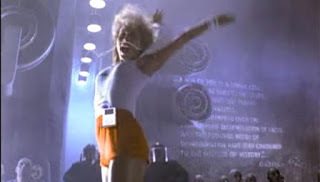 The Apple Super Bowl 1984 commercial is considered the best Super Bowl commercial of all time. Since then Apple has only advertised two times during a Super Bowl game. In 2014, Apple was rumored to run a Super Bowl ad to commemorate the 30th anniversary of its 1984 commercial and the Mac, but it did not happen. 2016 could though be the year for Apple's fourth Super Bowl commercial in the company's history. The Super Bowl 50 takes place in the heart of Silicon Valley in Santa Clara. Apple's is headquarter is in Cupertino and just a 15 minute drive away from the Levi's Stadium where the Super Bowl 50 will be played. Apple's Super Bowl commercial over 30 years ago introduced the Mac. In 1985 the Apple Super Bowl commercial titled "Lemmings" tried to follow-up on the success of the 1984, but failed to do so. In 1999 Apple tried again with a Super Bowl commercial featuring Space Odyssey's HAL 9000. You can watch all three Apple Super Bowl commercials below. We expect a slew of Silicon Valley technology companies to show flag and advertise in the Super Bowl 50. Our Super Bowl 50 Ad chart currently tracks 20 confirmed brands that get advertising time during the Big Game. Several technology companies are already confirmed, including PayPal which is a Silicon Valley based firm. Other technology companies confirmed for Super Bowl 50 are Wix.com, SquareSpace and LG.